My wife and I have always been a little bit unique in that we have agreed to never celebrate Valentine’s Day. It just has never really been our thing. Maybe, on a couple occasions (before kids!) we would stay in and make a nice dinner together. I think our menu was usually Filet Mignon with Blue Cheese crumbles on top. But, for the most part, we let Valentine’s Day come and go with little thought or fan fare. It wasn’t until my daughter came along that I got the spark to do something special for the OTHER lovely lady in my life. So, I began looking for fun Valentine’s Day activities for kids to do with my daughter on cupid’s special day. Here are a couple fun ideas that I have come up with. Let her pick anywhere she wants to and take her out for a special night, just the two of you. She can eat dessert without finishing all her dinner. Let her dress up in her favorite dress and treat her like a princess (I know, you probably treat her like a princess every day, but you know what I mean!). As a parent of both a son and a daughter, I find that I more naturally find special things to do with my son and we tend to spend a little more time together just because he is always badgering me to throw the football or play with matchbox cars. This is something I am conscious of and so I really try to find these special occasions where I can focus on just her and give her all of my attention. 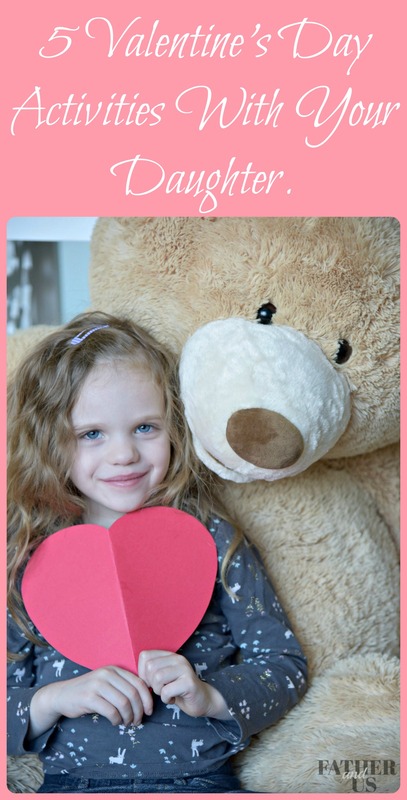 This is one of my favorite Valentine’s Day activities for kids. My daughter and I love to make chocolate chip cookies together. We also often make pancakes on Saturday morning. But for Valentine’s Day, I would suggest making something outrageous. Don’t be afraid to make a mess and don’t worry if it doesn’t turn out perfectly. Let her use all the pink frosting she wants! Make a treat for the whole family. It will be something that she can be proud of and share and tell everyone the story of how she got to make it with you! What is better tha5. n that?!?! This can either be a surprise or something that you can let her in on. With my daughter, I think if I just surprised her and randomly picked her up from school it may freak her out a bit. 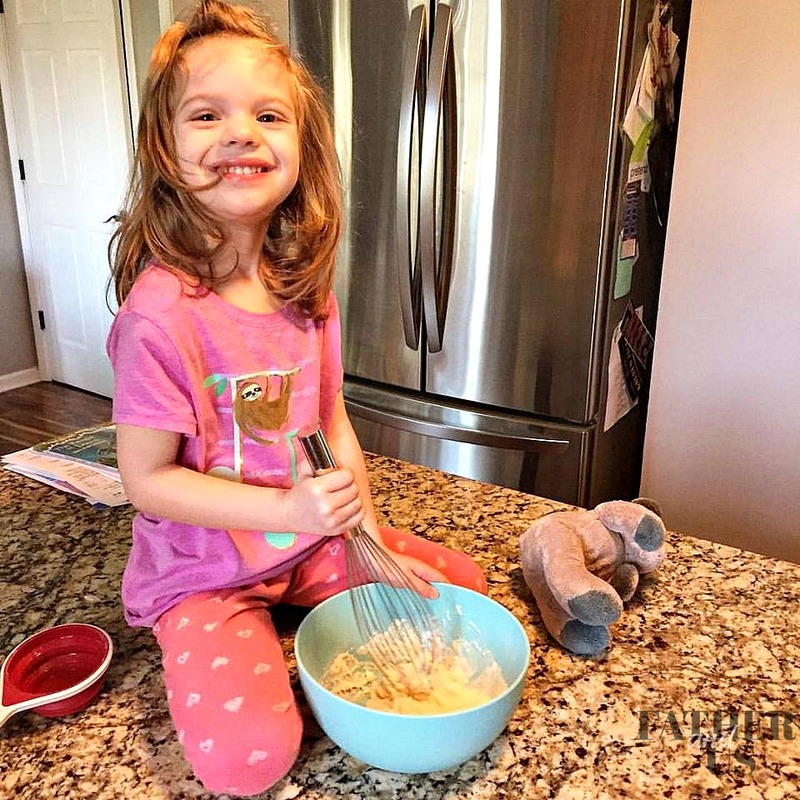 She is a stickler for routines! So, I’ll tell her and that way she has something to look forward to all day and something to tell her friends about. You can take her to a movie, or out for ice cream or out shopping. 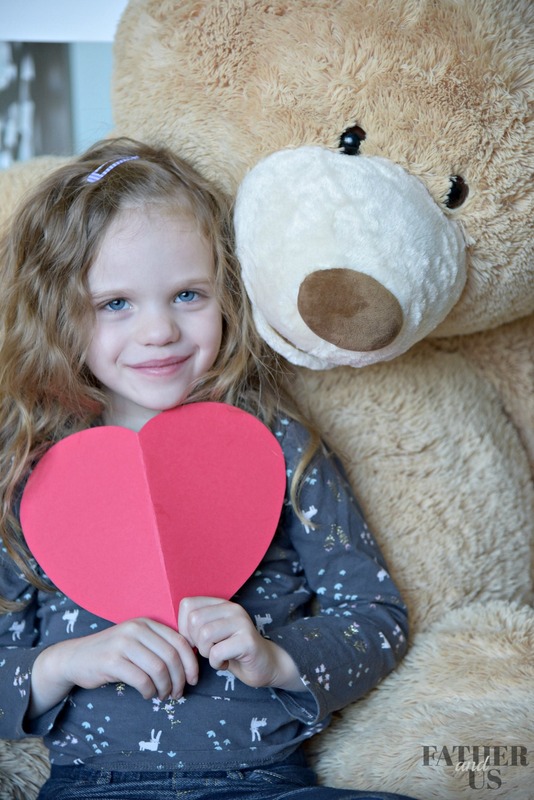 There are a ton of great Valentine’s Day activities for kids that you can do with her. 5. If You Have a Son: Boys Cook For Girls! This is a great idea to get the whole family involved. Now you can include your son or sons and really treat the ladies like royalty. Let them go up and watch a movie together or go out and get their nails done. The boys will stay home and cook an extravagant meal for everyone. Then have a nice family dinner. Don’t forget to do the dishes! What better Valentine’s Day activities for kids are there then spending it with the whole family? Sure, in our family we do believe the Valentine’s Day is just a made-up hallmark holiday and that is why we have never really paid much attention to it. But, lately, I have discovered that it can be a great opportunity to find some Valentine’s Day activities for kids and spend some quality time with my lovely daughter. If your family is like mine, try embracing this holiday in a whole other way and make your princess queen for the day!